This was a favorite in my house growing up. 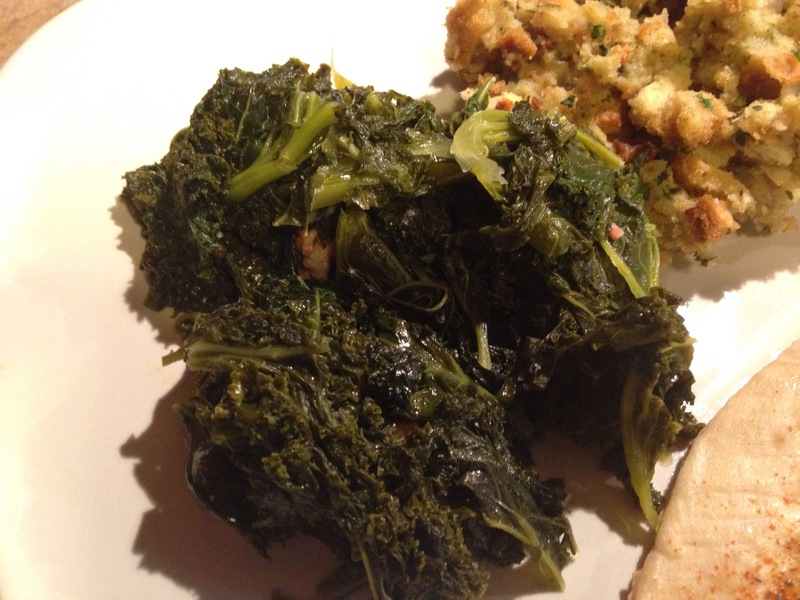 Even as a kid, I could not get enough turnip greens, collard greens, mustard greens, mixed greens, kale. Any green you got, with some country ham and a little vinegar. DELICIOUS. My mom and my grandmothers made their greens on the regular stovetop, but I make mine in the pressure cooker, because I’m usually short on time. I’ll give you directions for both. 1. 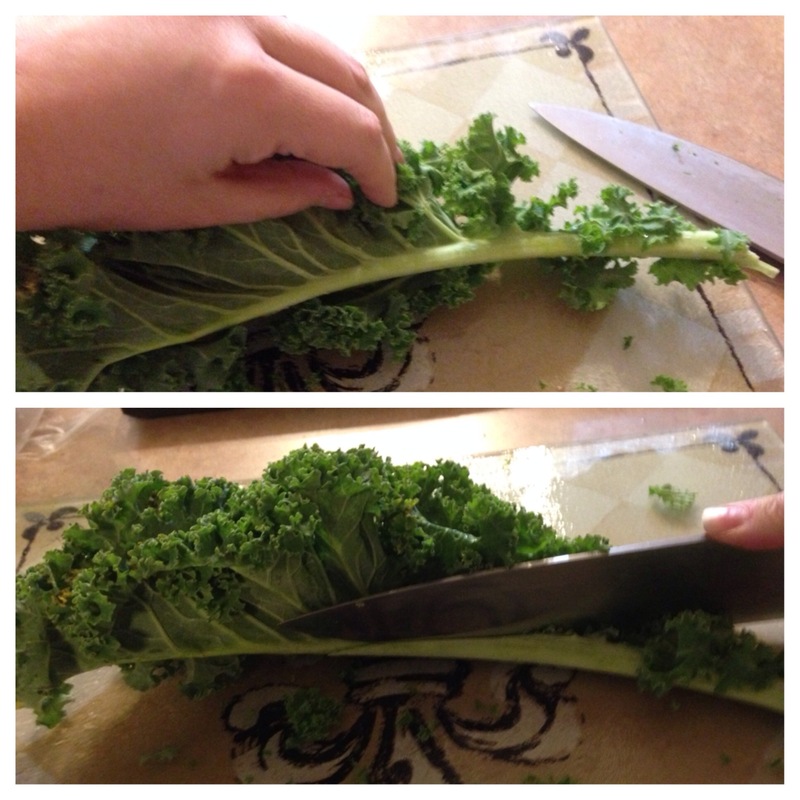 Fold each leaf of greens over, and cut out the thickest part of the stem (as shown below) for each leaf. Then rough chop leaves about 3 or 4 times. 2. Thoroughly rinse all chopped greens, and drain off the rinse water. Sometimes greens have dust or dirt from the garden they grew in. it’s important to clean them well. 3. At this point, you’ll do 2 different things depending on if you’ve got the time to slow-cook them, or if you’re pressure cooking. Pressure cooker: Open the ham and mix the pieces in with the greens and the water. Place lid tightly on the pressure cooker, and cook on high until shaker rattles. Allow to rattle about 10 minutes before removing from heat and releasing steam. If there is still plenty of liquid left, you can continue cooking uncovered until liquid cooks off. Salt and Pepper to taste.